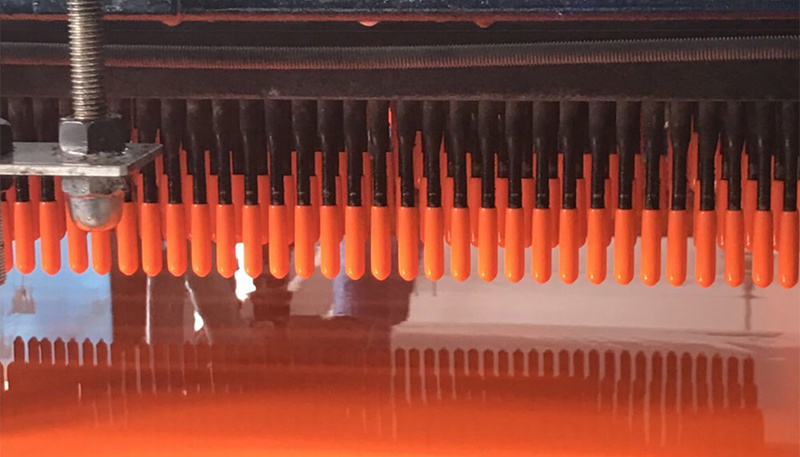 Wenzhou RHI Plastic Co., Ltd. is a manufacturer of vinyl dipping products like vinyl caps, hangle grips, vinyl wire end caps, terminal covers etc. The company is founded in 1991, located in Xiangyang Industrial Zone,Yueqing City, Zhejiang China. With more than 25 years' development, we have 6,000 square meters standard factory with fully automated production workshop now. RHI has world-class full-automatic production equipments, raw materials workshop, mold workshop, production assembly line, lean testing center and automated packaging. We always in line with the principle of “quality first”. Our quality is widely praised and recognized by the domestic and foreign customers. All products reach the EU ROHS /REACH environmental standards, and electrical products reach UL94V-0 flame retardant requirements. We are certified by the ISO9001 international quality management system in 2016. To meet the vehicle industry standard, we are also improving our operating system and arranging to apply TS16949 certificate. RHI began foreign trade in 2012. We export our products to Europe, Australia, Taiwan, Singapore and other countries. With honest operating, excellent product quality, great reputation, and professional customer service ,we has been well recognized by customers from domestic and overseas markets. We also supply protective cover for a large number of listed companies and SMEs. RHI adheres to good products and good service, help customers to reduce costs, and manage to get ”win-win” in the fiercely competitive market. Wenzhou RHI Plastic Co., Ltd is looking forward to cooperating with you!